Easy to use! Just like the windows explore. 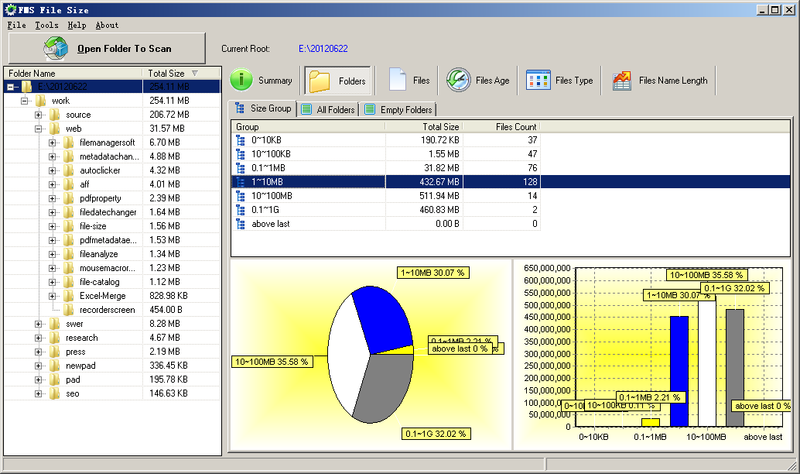 File type analyzer.Visually show file size,file extensions,file type,and organize them divided by range. 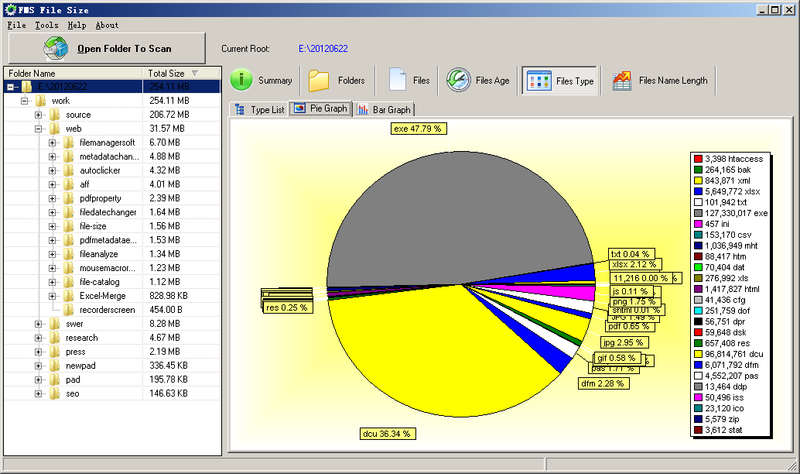 Disk space analyzer.Visually show folders size,disk usage. 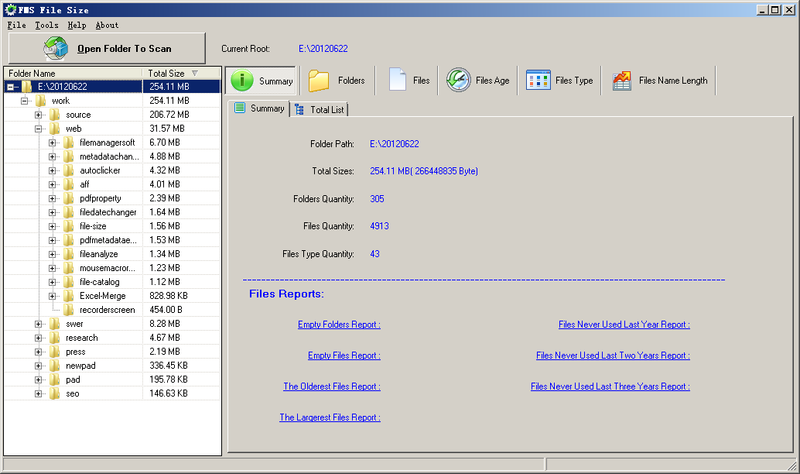 Export data to XML, HTML, Excel,CSV or textfile.